Davide Angeletti of Ovenbird Coffee Roasters Co. – supplier of the Cocoa Tree coffee – talks to us in the first of our Q&As with stockists and suppliers. 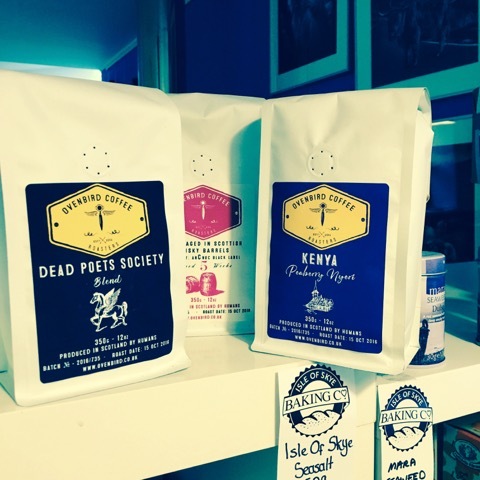 We would love to know more about Ovenbird Coffee Roasters, could you sum up your company in a couple of sentences? Davide Angeletti: At Ovenbird Coffee Roasters we do not know either the purpose of life or why we exist. Neither do we know if the universe is finite or infinite. But here’s what we do know: we try our best not to be sucked into the spiral of the bad coffee world. We’re old-fashioned… about roasting. We rely on highly trained people, not computers, to see through the intention of our roasting style. We are more concerned about the qualities of a coffee that drove us to buy it in the first place: cleanness, sweetness, acidity, complexity. But, above all, we are more interested in the humans behind coffee. 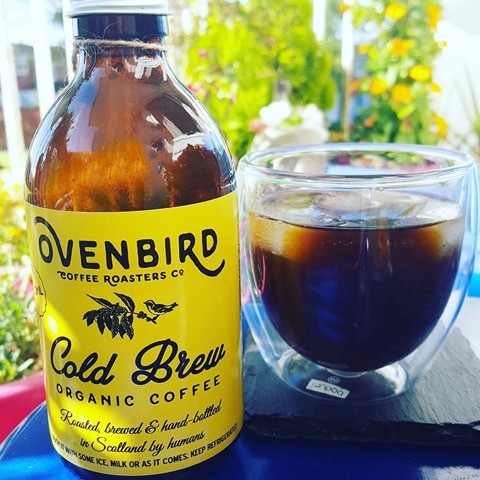 When did you open Ovenbird? DA: Ovenbird Coffee, as a dream in our mind, started more than a decade ago. However, the birth certificate states 2013. Where are you based, and why did you choose that spot? DA: We are based in Glasgow, Scotland. We didn’t choose Scotland. It was Scotland that chose us. Why did you decide to start up in the coffee business? DA: Because we didn’t have the cure for cancer or the ability to reduce poverty and hunger. However, if we could help a 900-person co-op in Malawi build a schoolhouse or a hospital with our coffee, of course we were up to it. Do you go to any events where our readers might find you? DA: We attend several events throughout the year all over Scotland. It would be impossible to list them all. Our Facebook page is updated fairly regularly. Which of your beans are your favourite and why? DA: It’s very difficult to answer this question. Each origin gives us different flavours. I love them all. What’s your favourite aspect of your day-to-day job? DA: That we are still as excited as the first day we started. Any exciting plans for the future you’d like to share? DA: We have been developing coffee aged in Scottish whisky barrels. We are very proud of what we have achieved so far. It will be available very soon. And finally, where can our readers find you online? Our cosy Cocoa Tree Café in Pittenweem serves all of our luxurious hot chocolates, from our 70% Dark, classic Rich Milk and sumptuous White Chocolate, to our indulgent Hazelnut and comforting Orange. We serve our thick hot chocolate too – an espresso cup of either Intense Vanilla or Caliente, with a dash of chilli. And the Intense is now fully lacto-free and suitable for vegans. A bright green, Citroen HY van that can’t be missed, offering well made artisan roast coffee on the beach front – find them at Portobello Beach on the promenade, at the foot of Bellfield Street. 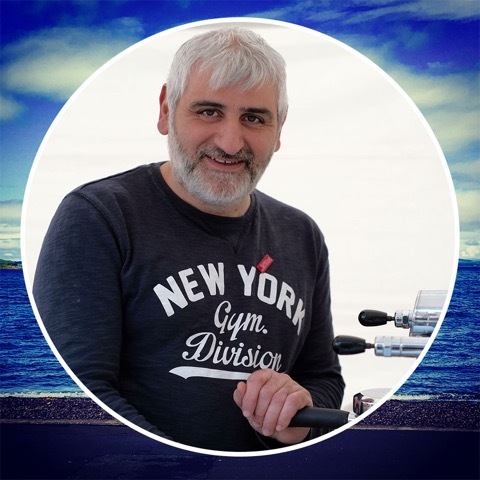 A small, specialist cheesemonger with a big passion for cheese, specialising in real, full-flavoured cheeses made using traditional methods and fantastic milk. Their artisan food café serves delicious food and wine in a delightful al fresco setting. A family run and family-friendly business, open all year round, using locally sourced and produced ingredients whenever possible. Located between St Monans and Elie, in the East Neuk of Fife, the shop stocks fresh, local, inspiring food from the farm and the surrounding area, along with an abundance of produce from Scotland’s natural larder. 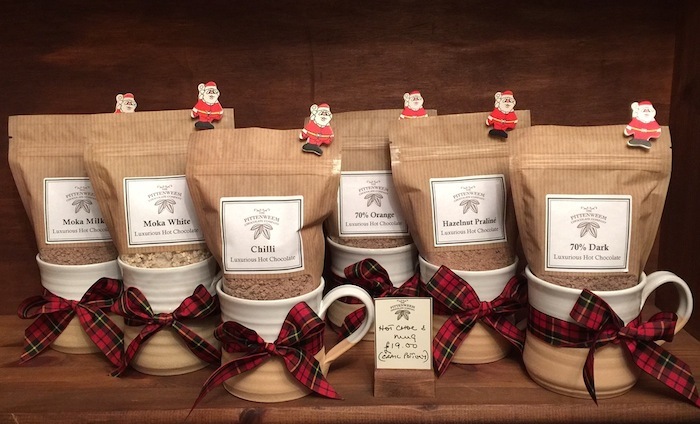 Located at Logie Steading, they specialise in premium coffee beans, ground to your requirements, and teas crafted in Scotland, plus unique accessories and gifts. Dundee’s oldest shop, now run by the fourth generation of the Braithwaite family. Selling over 100 different types of tea, or tisane, more than 30 types of coffee and, of course, our luxurious hot chocolate. ….choose from our tempting range of flavours! Add a gorgeous mug (handmade by Crail Pottery) a fluffy, covered hot water bottle + cosy socks for the perfect ‘curl up with a cuppa’ experience! …our hand-picked selection, each with their own distinctive flavour, are presented in boxes of 2, 4, 10 or 20. Make the gift extra special by including Scotland’s finest, festive spirits in a selection of dram-sized minatures! …create your own selection of hand-picked gifts for a special someone, beautifully presented in a hamper of your chosen size. Include everything from our own ‪#‎ScottishChocolate‬ and hot chocolate – Handmade In Pittenweem – to our collection of world chocolates, coffee and locally sourced dressings from The Little Herb Farm. …allow you loved one to choose their own festive treats from our cafe + chocolate boutique! Discover more edible, artisan gift ideas at our online chocolate boutique and our wider range in our shop on the high street in Pittenweem. We can accept telephone orders for international gifts too! PS. we discovered the gorgeous ‘by the fire’ photo via Pinterest. Will you be visiting St Andrews soon? Don’t miss a visit to The Old Cheese Shop of St Andrews. We’re excited to confirm they’re now serving our exclusive, luxurious hot chocolate – handmade in Pittenweem – in their own little garden cafe! Naturally, their selection of cheeses are also divine.